Parker has some strange water problems! The hardness varies from area to area and the amount of red iron is present in some parts of the city and not others. I always recommend that you look at your towns Water Quality Report to get a better feel for some of what you are dealing with. Please keep in mind that your (any) water provider is only obligated by the EPA to test for certain items that they consider harmful. There are thousands of possible contaminants that can be harmful for human consumption and no one is obligated to tell you about them. For instance, if a city uses recycled water there will be drugs and other chemicals in the water. Did you know that the water treatment palnts that clean and send the water out cannot remove the drugs! Since there are thousands of drugs being consumed and flushed who knows what drugs lurk in your water. I call this DRUG SOUP! That is the number one reason I recommend the line of NanoCeram Ultra Filters to clean your water. 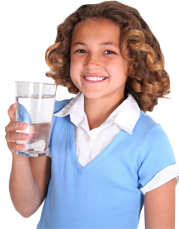 Call Now For Safe Water Solutions! 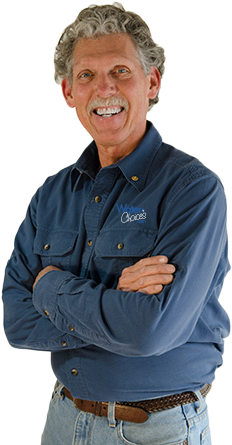 Safe Water Expert and All Around Nice Guy! New water filter system in Parker Colorado. The system consist of a 4.5″ x 20″, 5 micron sediment filter followed by a 20″ P4.5-20 NanoCeram ultra filter followed by a Catalytic carbon tank and then last filter is an automatic water softener. There is a full sysyem by-pass not shown. This is a “Ultimate” whole house water filter in the beautiful town of Parker Colorado. New water filter system in Parker Colorado is a green system. This is the Enpress ONE whole house water filter. The first is the 5 micron sediment filter followed by a Nano-AL (NanoCeram) with Biostat and the third is the TAC Scale Inhibitor scale control system. This is actually in Aurora Colorado just north of Jordon Rd in Parker. A tight squeeze for a new GREEN water filter system in Parker Colorado. The system consist of a 1 micron sediment filter for dirt followed by a carbon tank for gasses and then last filter is a TAC scale inhibitor with a full system by-pass. No NanoCeram filter here? The carbon and salt-less system should be good for about 1 million gallons of city water. This is a whole house water filter in Parker Colorado. Another smart home owner gets a new water filter system in Parker Colorado. The system consist of a 1 micron sediment filter, a P4.5-10 NanoCeram ultra filter, a catalytic activated carbon tank for removal of chloramine and then last system is a water softener with a full system by-pass. This is the ultimate whole house water filter in Parker Colorado.